After recently declaring that it did not want the Maldives to become another ‘flashpoint’ in Sino-Indian relations, a Chinese newspaper has again warned India against interference. NEW DELHI: After recently declaring that it did not want the Maldives to become another ‘flashpoint’ in Sino-Indian relations, a Chinese newspaper has again warned India against any military interference in the tiny Indian Ocean archipelago. “If India one-sidedly sends troops to the Maldives, China will take action to stop New Delhi. 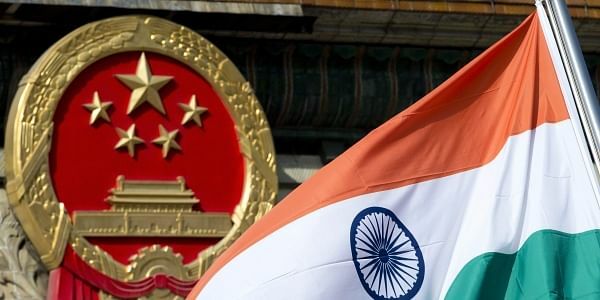 India should not underestimate China’s opposition to unilateral military intervention,” declared a report in the state-run Global Times on Monday. Titled “Unauthorized military intervention in Malé must be stopped”, the report written Ai Jun (which apparently is also a a homonym for “love the army”) began by noting that while the Maldives is in a state of emergency, “its neighbouring country is publicly and immodestly discussing whether to interfere in its domestic affairs... India should exercise restraint. The Maldives is trapped in turmoil. This is the country’s internal affairs and China firmly opposes outside interference. More than that, China should take necessary measures to stop India if New Delhi moves to intervene militarily,” the report stated. Ironically, the same edition of the newspaper had another report which stressed China’s need to build more overseas naval bases. “More overseas logistic bases will be built in the future to assist the PLA Navy to conduct operations globally,” the Global Times quoted Xu Guangyu, a retired major general and senior adviser to the China Arms Control and Disarmament Association, as saying. “There is no need to hide the ambition of the PLA Navy: to gain an ability like the US Navy so that it can conduct operations globally,” Xu said. As for the Maldives, China had said that it was touch with India to ensure that the Maldives did not turn into a Doklam-like standoff between Beijing and Delhi. Despite tensions between the two, Indian and Chinese armies met at the Moldo garrison in Eastern Ladakh’s Chushul sector on the Chinese side on Tuesday. This was part of the series of formal meetings held every year. Tuesday’s meeting was on the occasion of the Chinese Spring Festival. “Both the delegations interacted in a free, congenial and cordial environment. The delegations parted amidst a feeling of friendship and commitment towards enhancing the existing cordial relations and maintaining peace along the LAC,” an Army statement said.